Those acceptance letters are (hopefully) rolling in, and it’s just about time to make the final decision: Where will your kid go to college? In the wake of the college admissions scandal, there has been a heavy focus on how and why our kids are—or are not—accepted into the school of their choice. But it’s also important to take the time to walk our kids through all their options; you can start by discussing these questions together. For many parents, cost is a factor we start thinking about right around the time they’re born. My husband and I just recently did some updated calculations for the estimated cost for our son to go to a state university in Pennsylvania in 10 years. The numbers were high, to say the least, and we’ve pretty much already determined that he won’t be going to school out-of-state (unless, you know, big scholarships come floating his way). 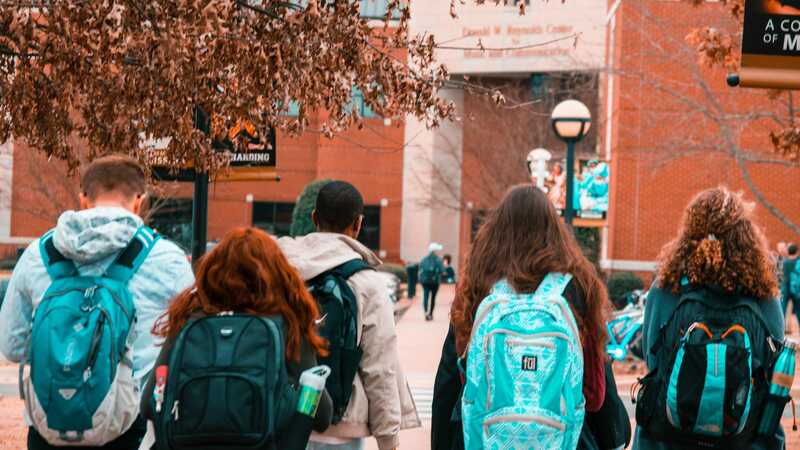 Parents and their teens need to weigh the costs of attending private universities versus public, and community college versus a four-year institution. How much extra educational value is gleaned by attending a more expensive option and how will you afford it? Some students will thrive in an expansive, bustling university setting. Other students might feel more at home in a smaller, more tight-knit environment. Consider both the size and location of your teenager’s top choices. If coming home regularly is important to them, you’ll want something that is closer or more easily accessible. You’ll need to consider what they want to study, of course, and the programs, internships and mentorship opportunities available at different colleges. You’ll also want to consider their extracurricular interests, which might be athletic, musical or artistic, and whether they’ll have a wide range of opportunities. What will they make of it? Oftentimes where you go to school is less important than what you do while you’re there. Just because your child doesn’t go to an Ivy League school doesn’t mean their career will suffer; however, what will make a difference is making the most of every opportunity while they’re in school. “How you engage with professors, if you study or if you don’t, if you join an activity, if you get to apply your learning in an internship, all of that matters far more,” said Pope. Talk also about whether—or how much—they’ll work while they’re in school and what kind of job opportunities exist on or off campus, particularly as it relates to their field of study.